We bring forth the Mughlai Masala Chutney that is unique combinations of chicken and rich Indian spices. 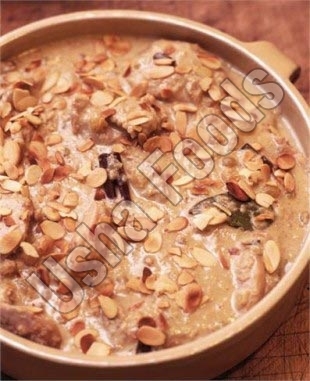 The Mughlai Chicken Chutney is hygienically processed using a traditional Mughlai recipe. Our Mughlai Masala Chicken Chutney is a creamy chicken recipe that is mouth-watering in taste. Being one of the trusted Manufacturers, Suppliers and Exporters of Chutney, we offer the Mughlai Spicy Chicken Chutney at economical price.